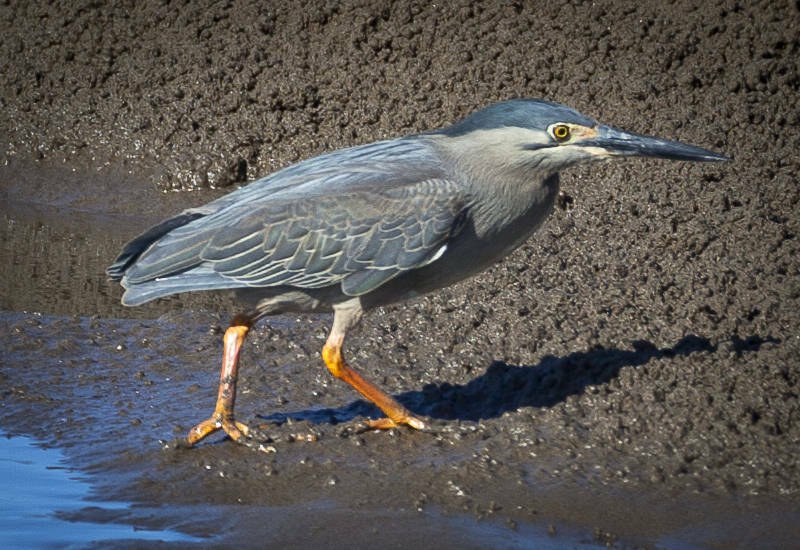 I saw this Striated Heron in the Boondall Wetlands, Queensland, Australia yesterday. We arrived early at the Brisbane Entertainment Centre to see Fleetwood Mac that night. We decided to take our bikes on the van, so we could ride to a cafe in Nudgee for lunch only to discover it was closed on Tuesdays. I had hoped to post a photo of the band with my new (2nd hand) 100-400mm lens, unfortunately it was too big to get past the venue’s security, however it proved useful photographing the local birdlife.